The Securities and Exchange Board of India (Sebi) has asked fund houses to classify their schemes into clearly defined categories. 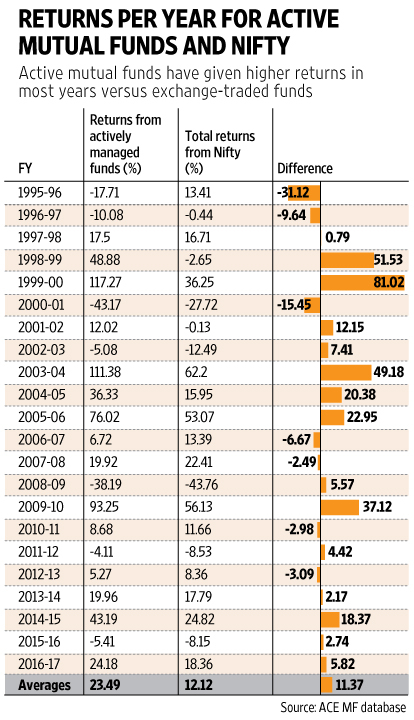 For long, there were no clear guidelines to categorise mutual funds. Fund houses even launched multiple schemes under each category, making scheme selection a confusing exercise for investors. To introduce clarity, Sebi has now asked fund houses to have just one scheme per category, with the exception of index funds, fund of funds and sector or thematic schemes.Mutual funds which have multiple products in a category will have to merge, wind up, or change the fundamental attributes of their products. At the broadest level, mutual funds will now be classified as equity, debt, hybrid, solution-oriented, and ‘other’. Equity schemes will have 10 sub-categories, including multicap, large-cap, mid-cap, large- and mid-cap, and small-cap, among others. The stocks of the top 100 companies by market value will be classified as large-caps. Those of companies ranked between 101 and 250 will be termed mid-caps, and stocks of firms beyond the top 250 by market cap will be categorised as small-caps. Debt and hybrid schemes will similarly be grouped into 16 and six sub-categories respectively. In particular, people interested in debt and hybrid schemes will now be better placed to identify the right schemes. For instance, duration funds have been segregated into four sub-categories, based on the maturity profile of the instruments they invest in. Debt funds belonging to the broader ‘income funds’ category will now be identified as dynamic bond fund, credit risk fund, corporate bond fund, and banking and PSU fund, based on their unique characteristics. Similarly, segregation of hybrid funds—based on their equity exposure—as aggressive hybrid, conservative hybrid and balanced hybrid, will allow investors to better identify the type of hybrid fund they want to invest in. “Now that scheme labelling is clearly linked to a fund’s strategy, the investor will clearly know what he is getting into. The fund category will define the scheme, and not its name,” says Kunal Bajaj, CEO, Clearfunds. Fund houses will also not be allowed to name schemes in a way that only highlights the return aspect of the schemes— credit opportunities, high yield, income advantage, etc. With strict classification of schemes, fund houses may not be able to alter the investing style or focus of their schemes, as they did earlier. For instance, mid-cap funds stray into the large-cap territory or across market caps, in response to market conditions, which dramatically alters their risk profile. Now, funds will be forced to maintain their investing focus. Any drastic change in style will constitute a change in the fundamentalattributes of the scheme, which would have to be communicated to the investors. For investors, this means they won’t have to worry about their chosen schemes altering mandates to something which doesn’t suit their needs or risk profile. Distinct categorisation of schemes will also enable a better comparison of funds within the same category. While the earlier largecap funds category had schemes with pure large-cap focus as well those with a sizeable mid-cap exposure, now such distinctly varied schemes won’t be clubbed together. This will further help investors identify the right schemes by facilitating a like-for-like comparison of funds. “All schemes of different AMCs within a similar category will have similar characteristics, which will enable customers to make a better ‘apples to apples’ comparison,” says Stephan Groening, Director, Investment Solutions, Sharekhan, BNP Paribas. The new Sebi norms require funds to have only one scheme per category. Note: This is only an indicative list. All schemes mentioned may be retained by the respective fund house. There may be other duplicate schemes from other fund houses also. Source: Value Research. Since fund houses will now be forced to merge duplicate schemes within the same categories, it may sharply increase the size of certain funds. This could hurt the scheme’s performance. “Some larger fund houses with multiple schemes will have to opt for mergers. This may lead to a sudden, sharp rise in the corpus of schemes, which could dent the fund’s returns,” says Vidya Bala, Head, Mutual Fund Research, FundsIndia. “There could also be an impact cost on the investor, as fund may rebalance or churn the portfolio to ensure the fund aligns with the category norms,” adds Bala. For instance, both HDFC Balanced and HDFC Prudence are aggressive hybrid funds, with a corpus of Rs 14,767 and Rs 30,304 crore. Merging the two will create a Rs 45,000 crore fund. 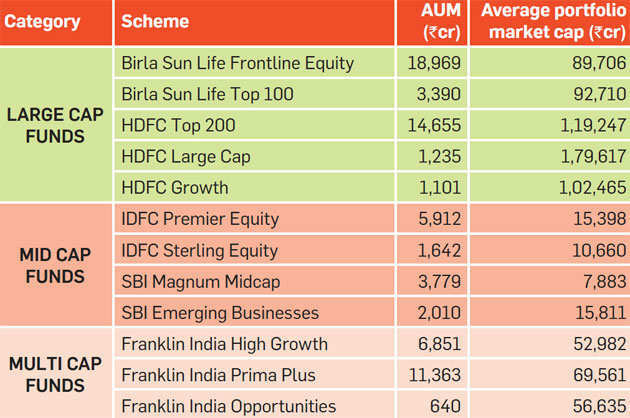 However, it is more likely that the fund house may instead reposition one of the schemes in another category. While the new norms are likely to lead to better adherence to the fund style and mandate, it may result in reduction in alpha—outperformance compared to the index—for some schemes. Funds often tend to stray away from their chosen mandate in the pursuit of generating excess return over the benchmark index. Now, with limited flexibility to stray into another segment, some funds may find alpha generation more difficult than before, reckons Bala. Since fund houses will now have to align their product suite with these norms, there is likely to be a flurry of activity related to recategorisation of funds. In order to avoid merging certain duplicate schemes, these are likely to be renamed or reclassified into another fund category. Some funds may witness a change in scheme attributes to facilitate its repositioning. As such, over the next 5-6 months, several schemes may change colours. Investors would then have to undertake a thorough portfolio review to ensure their funds continue to meet their requirements, insists Bajaj. Equity mutual funds can give you good returns if you keep your money invested over a long period of time to overcome market cycles. Your dream of becoming a ‘crorepati’ may seem difficult. But in reality, if you plan your finances and invest in the right instruments someday you will have your dreams realised someday. One of the best ways to try and achieve the crorepati dream could be investing in equity mutual funds for good returns over a long period of time. There is a definite correlation between the time and money. If you have less money to invest then you have to wait for a longer time to get your goal accomplished and if you have more money to invest you might reach your goal earlier if you plan and invest properly. how much you have to invest and over how long to reach your Rs 1 crore destination. Here we try to get you answer to both the questions. As a young investor, you may easily take a higher risk by saving less amount and gain more returns to achieve your financial goals. While being in the middle of the age, you can take the moderate risk to head toward becoming a crorepati. Thus, at an early age even if you have less money to invest, you can become crorepati by investing Rs 700 per month (which is the least amount) for 35 years, at an assumed 15% rate of return to accumulate the desired amount. However if you start later, you need to invest more money to reach your financial goal. For instance, you will need Rs 5500 per month for 25 years, at an assumed 12% rate of return, you will be able to make Rs 1 Crore approximately. A larger amount of Rs 13,500 per month for 20 years, at an assumed 10% rate of return, will enable you to make Rs 1 Crore. How to select a fund? To earn 12-15% of return on your investment, you need to select good equity stocks or one can go for equity mutual funds to mitigate the risk to an extent. While selecting, equity MF, you need also check that your portfolio should have mid-cap/small-cap funds for around 30-40% and the remaining 60-70% should have a diversified fund, a large-cap fund, etc. to maintain an aggressive portfolio with right asset mix. Whereas to maintaining a return of around 10-12%, you should invest in balanced fund/hybrid fund, etc. to maintain a moderate risk portfolio. In such case, one can avoid or reduce the investment amount in mid-cap/small-cap funds or avoid making investments in risky stocks. Investing money in pension plans, NPS can also help you achieve this financial goal. However, the returns offered under such schemes are not stable and market linked. Moreover, in some instruments, returns are subject to change as per the government rules. Also, investing in an instrument like fixed deposits, national savings certificate, etc. may not help you achieve the goal within the maximum time period as mentioned thereon. One should also have to remain invested for a longer time period and follow proper asset allocation strategy to achieve the target amount. It is must to take the help of a financial adviser before making such financial decisions. In the grid given above, make sure you know that any investment made in equity mutual fund or equity stocks are not guaranteed. The returns are also volatile and not fixed as they are dependent on the financial market.